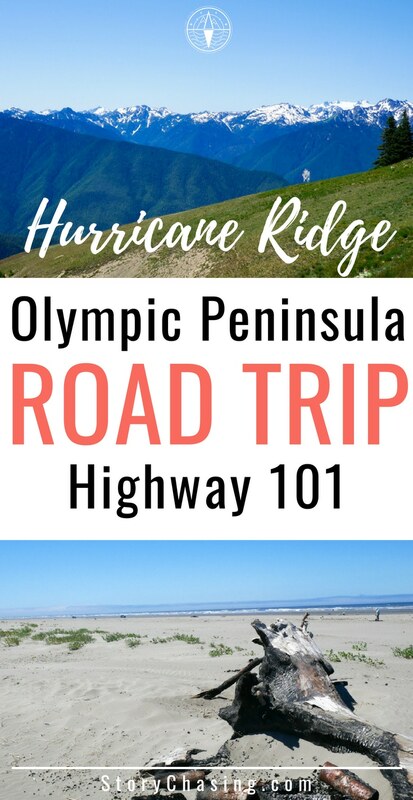 After spending the last several weeks on the first part of the Olympic Peninsula road trip, I just had to stop at Hurricane Ridge before leaving the Port Angeles area. 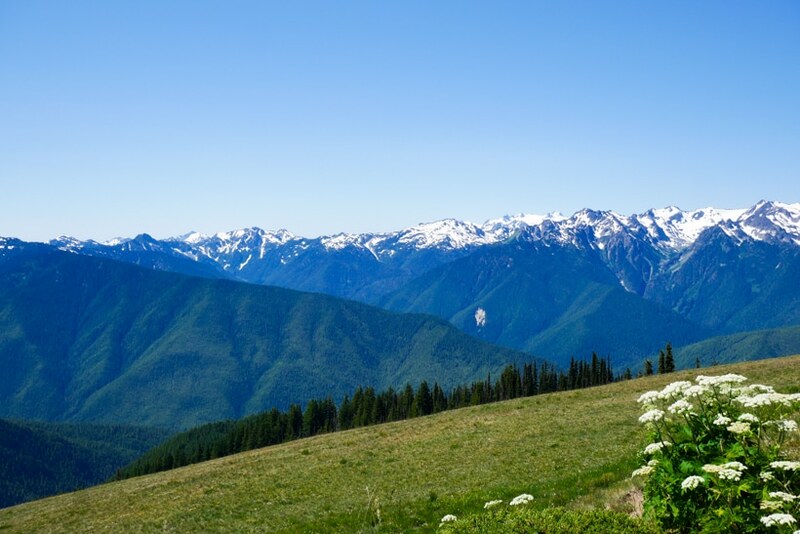 Hurricane Ridge is part of the Olympic Peninsula quest drive and part of the Olympic National Park, so you'll need your America the Beautiful annual pass or just pay the daily rate. I'm hoping by now – if you're doing any kind of traveling around the United States – that you have your annual pass to the National Parks. It will save you quite a bit of money every year, plus once I showed my pass to the park ranger, I was able to skip ahead in line and not have to wait to pay. 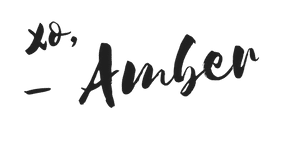 Another perk – saving time! Another gorgeous day outside with 70ish degree temperatures, full sun, and no clouds in the sky. 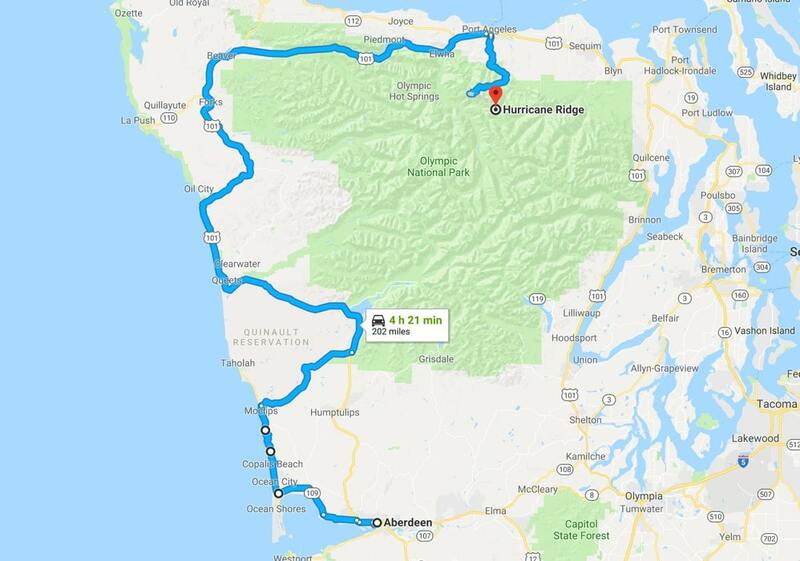 Before moving further down highway 101 I decided to travel over to Hurricane Ridge, which is only about 20 miles and approximately an hours drive, since you’re literally climbing in elevation the whole time and traveling about 25-40 miles per hour. 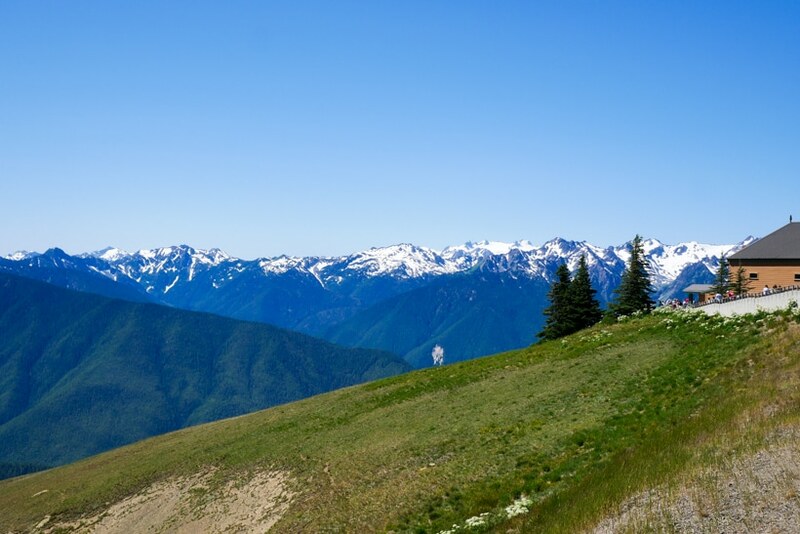 Hurricane Ridge sits inside of the Olympic National Park and is 5,757 feet high with the most spectacular views of the surrounding, snow-capped mountains and trails diverting off the parking area at the top of Hurricane Ridge. You can sit on the ledge overlooking the vast meadow that slopes downward and watch the deer and marmots walking through and partaking of the grass and flowers around the meadow. 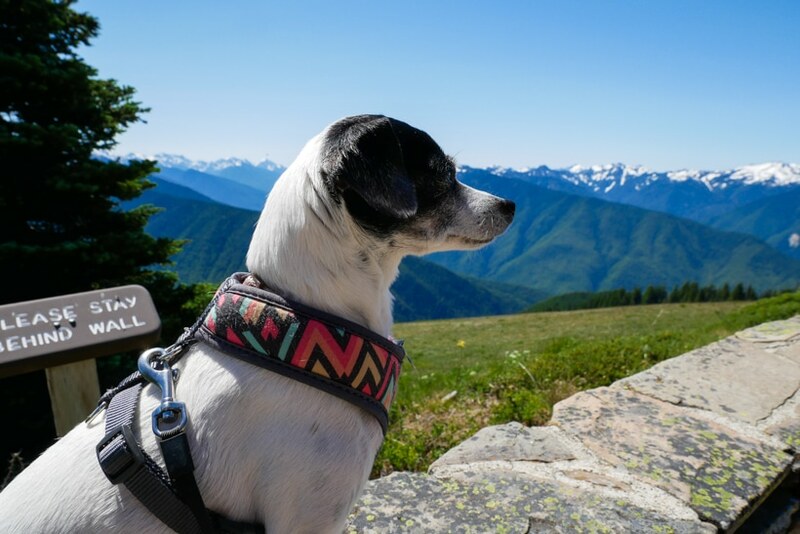 Even Lily was mesmerized by the beauty of Hurricane Ridge with it's almost blue colored peaks and rolling meadows. I only know this because she’ll lift her head to the sky, squint her eyes, and sniff the air. You can see this peace come over her face like she knows this beautiful place is special. 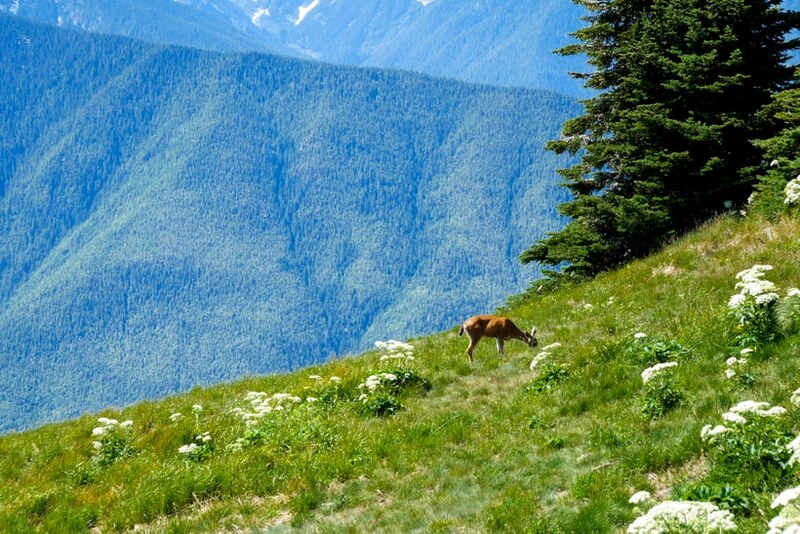 Maybe she feels the calm peace even in a place called Hurricane Ridge. Hurricane Ridge get its name from the 75 mph plus winds and 30-35 feet of snow that falls in the winter. As I was traveling up the mountain side I saw at least 20 bicyclists' huffing and puffing up the mountain. I’m in awe of their determination and ability to climb this type of elevation. I’ll never forget, as I was climbing in elevation, I saw a bicyclist coming down the mountain. He was traveling pretty fast, wind blowing his unzipped cycling shirt behind him, but his face is what moved me. It’s like his whole face was smiling. Just this simple expression made my eyes tear up, because I could only imagine the feeling he had of climbing Hurricane Ridge, this incredible mountain with huge elevation gains, and then descending with the gorgeous and breathtaking beauty around him. It feels like freedom to me. Lily and I hung out on top of the mountain and walked around and then had some lunch before heading back down. Some Xscapers friends of mine reached out to me and let me know they were also in the area and at the same free campground I had been contemplating for the night in Forks, Washington. It was an easy and beautiful drive to Forks along Highway 101 – passing around Lake Crescent and her blue-green waters. The wildflowers along the roadside are in full bloom and provided a colorful array of beauty alongside the road. Do you know the name Forks or remember it from a movie? If you watched Twilight then you’ll recognize it from there where the movie was filmed. I’m going to explore a little bit and then head out to La Push on the Pacific ocean in a couple of days, but for now I’m joining up with the ladies at the Hoh Oxbow Campground for some social time with my fellow nomads. We spent several days working during the day, chatting occasionally and then hanging out in the evening with our kombucha or our own dinner and had great conversation and laughs. Joni (The Galavan) has been also full-timing in her custom van and Becky (Interstellar Orchard) is our resident veteran of over 5 years full-timing. They both are solo ladies who are also entrepreneurs and have Youtube channels if you want to check them out. I met them this winter in Quartzsite, Arizona at our annual Xscapers Bash – which quite honestly seems like a year ago, but was only January 2018 – 7 months ago. I truly enjoy the relationships we build on the road and so thankful for the Xscapers group that brings us all together. I was in site 1 just as you come into the campground and turn right down one of the paths. There are several sites on this path and all alongside the Hoh River, which by the way, is a very fast running river. The campground was pretty quite and the flowing river was soothing at night as white noise while sleeping with my window cracked. To get to the river you walked down a small incline to a lower camp area where you could pitch a tent if you’d like or make use of the picnic table and fire pit. Just beyond that is a very wide section of river rocks and boulders alongside the river to walk around on or sit and meditate. It’s truly beautiful and this kind of cloudy aqua colored water. 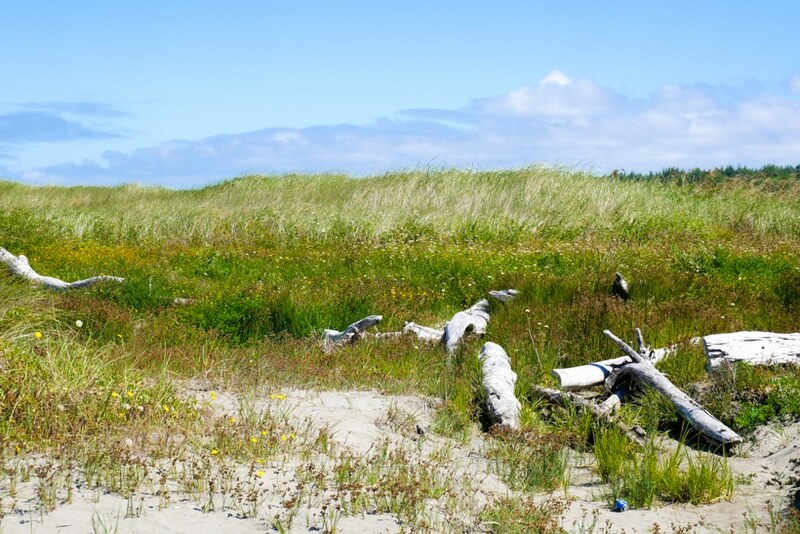 Overall the Hoc Oxbow campground is great for dispersed camping and in a very scenic area. That said, it was extremely difficult to get solar energy since it was a very dense forest and more shade than sun. The bugs and mosquitos were pretty bad as well to the point we stayed inside the RVs most of the time when socializing which was a real bummer. Lastly, cell service wasn’t that great. You could call somebody if you needed, but for working remotely, it was hard. The signal was sporadic even with a cell booster on the AT&T and Verizon network. I was up late working and I kept hearing this weird ticking sound coming from the engine compartment. It didn’t necessarily sound like a mouse, but that ticking shouldn’t be happening either so I went out at 1 am in the morning to investigate. It was literally pitch black outside and I couldn’t see hardly anything in front of me without the flashlight and headlamp. Secured it with the hood-secure-thingy-wand. What is that called? Then flashed the light down into the engine compartment. I didn’t see a mouse, but I did see evidence of a mouse. It looked like it was only in one area and I didn’t see any evidence of nesting or chewed wires. I also don’t know how long it had been there. I could have picked it up back in Idaho when the accidental murder happened. Great. I’m hoping there’s not a mouse. So I banged around, squirted peppermint essential oil (the previous accidental murder weapon) into the compartment near the mouse poop, left the hood up and attached the head lamp to the top of the hood to shine down onto the engine area. Supposedly those critters don’t like the light nor do they like cold so opening the hood won’t let it get warm in there. Lastly, I turned the van on for about 10 minutes. I didn’t hear the noise after that, but who knows if it was really something with the van or a mouse. It seemed to consistently timed to be a mouse, but who knows. Once I get to a car wash, I’m thinking I’ll rinse out the offending mouse poop and monitor it more as I travel. I need to figure out a way to keep those critters out. Okay so with all that going on, Lily threw up four times over several hours. I’m not sure why, but her poor little belly was upset. After going to bed at 3 am and then waking up twice, because she suddenly needed to go outside to potty (which never happens) I didn’t get any sleep. To make it even worse, I awoke around 7 am to Lily moving around a lot under the covers and shifting to a spot she never sleeps in. The cold, slimy liquid that she threw up on my leg while I was sleeping. Her poor face looked like she was so sorry and uncomfortable. I felt bad for her that she felt bad, but yet I had yucky throw up on me and the bed sheets so I guess I’ll be washing clothes today. She didn’t eat this morning and we were moving on towards Ocean Shores, Washington today. I'm hoping she'll get better as the day goes on. 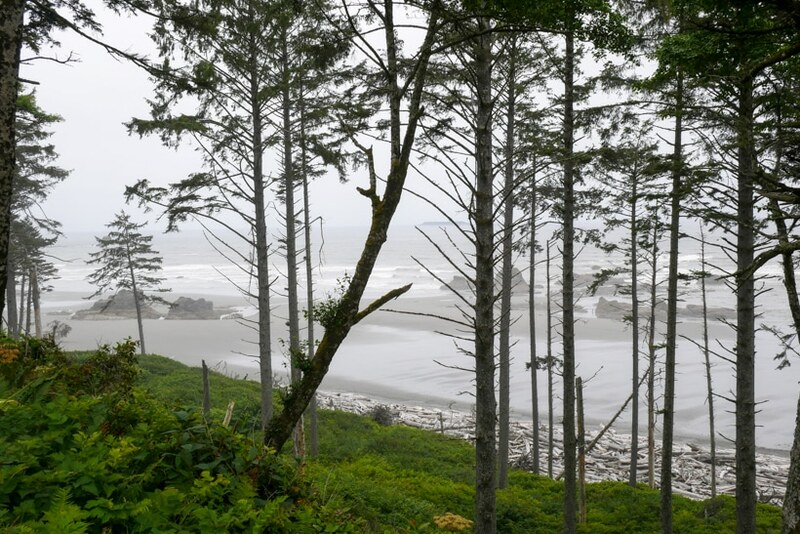 After taking a few work calls, I headed out around noon to Ruby Beach just about 15 miles south of Hoh Oxbow campground and was going to hike down to the huge sea stack rocks on the beach, but 1) it was super crowded and I had a hard time finding a place to park, 2) it started raining. 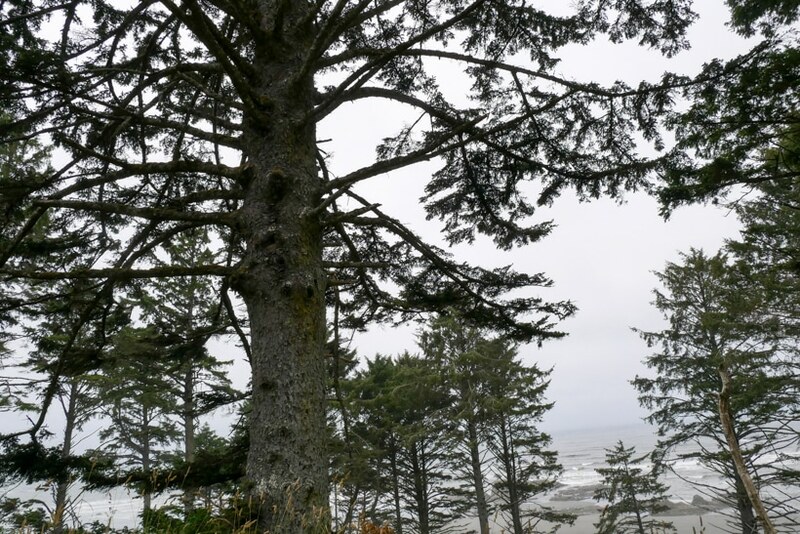 So I gave up on the hike and continued to Ocean Shores to dump the tanks and fill up on water before calling it a night at the Quinault Resort and Casino. 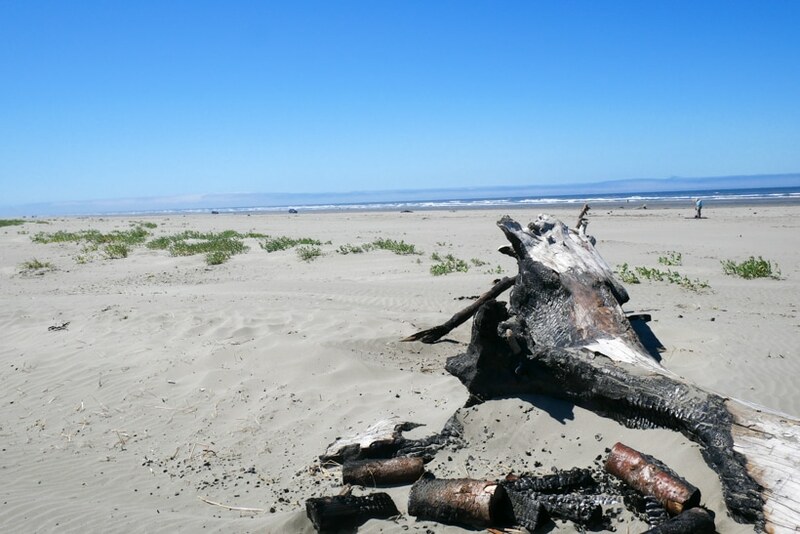 It has $5 ocean view dispersed camping it says on the Campendium app; however, yes it’s $5 and it is dispersed, but there is no view of the ocean. They have these large hedges blocking the view which I imagine was designed to pull us into the casino for some gambling. At least I can hear the waves crashing on the ocean. It’s also raining still and quite cold at 58 degrees with 93% humidity. It’s going to be a good nights sleep. Cross your fingers! I woke up the next morning feel so refreshed especially hearing the steady stream of raining tapping against the metal van. It's so sunny outside and just a few clouds, but enough to take a walk down to the beach before heading out on the road. The boardwalk bridge down to the ocean took us to the sandy beaches, salt stained driftwood, and tall beach grass blowing in the wind. 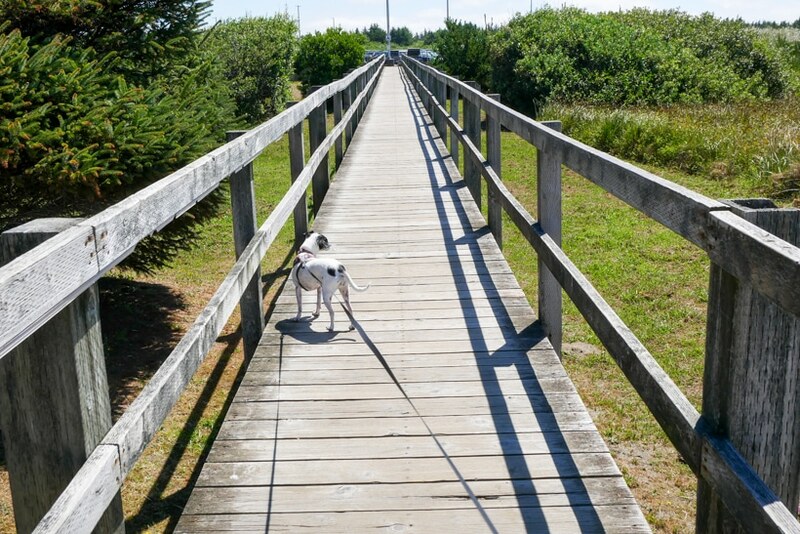 Lily, even not feeling that well, took a run through the sand – throwing it up everywhere and then promptly getting herself all tangled in her leash. You'll want to watch the video for this one. I even slowed it down so you can see how funny she is. Oh that silly girl! 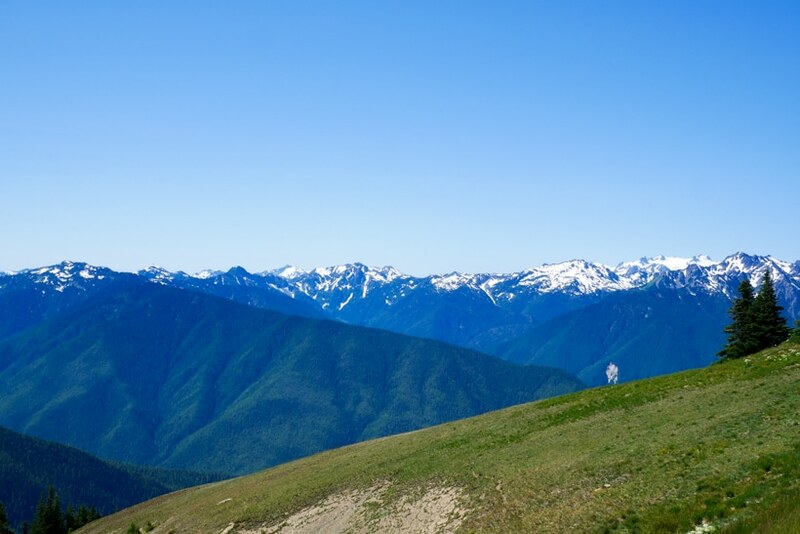 Have you hiked Hurricane Ridge yet or even gone to the top of the mountain? Going earlier in the season you can see more snow on the tops of the surrounding Olympic Mountains. It's just breathtaking. Road Conditions: Roads were clear with a little construction (to be expected this time of year). Weather Conditions: Cool at night with quite a bit of humidity, 93% on average while I was there in middle of July. Warmer during the day between 60-75 degrees. Hurricane Ridge will be fine for oversized RVs and there is RV parking at the top, but it will be slow going. Hoh Oxbow Campground is a little tighter, but most RVs can get down in there. I suggest walking down first and finding your spot so you don't have to turn around if there aren't any spots available. 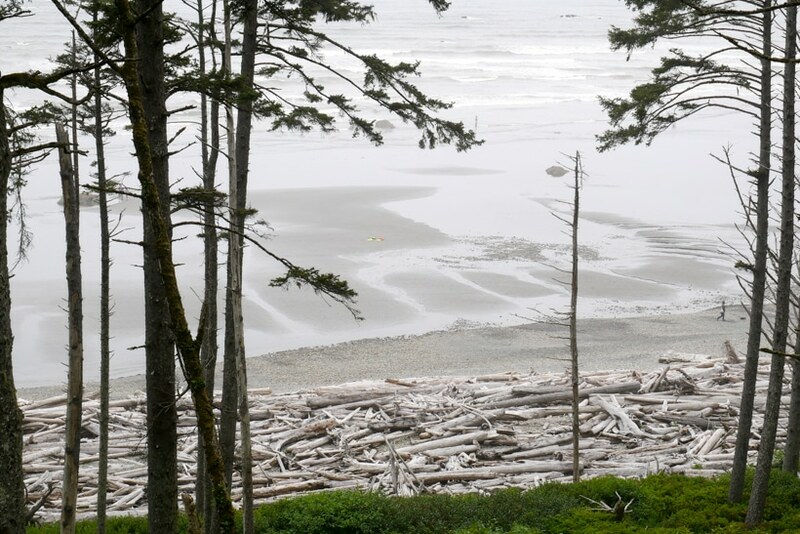 Ruby Beach – If you're an oversized vehicle, park along the side of the cliff and street towards the entrance. Once you get to the parking lot, there's no parking for RV's buy you can turn around, it will just be tight. 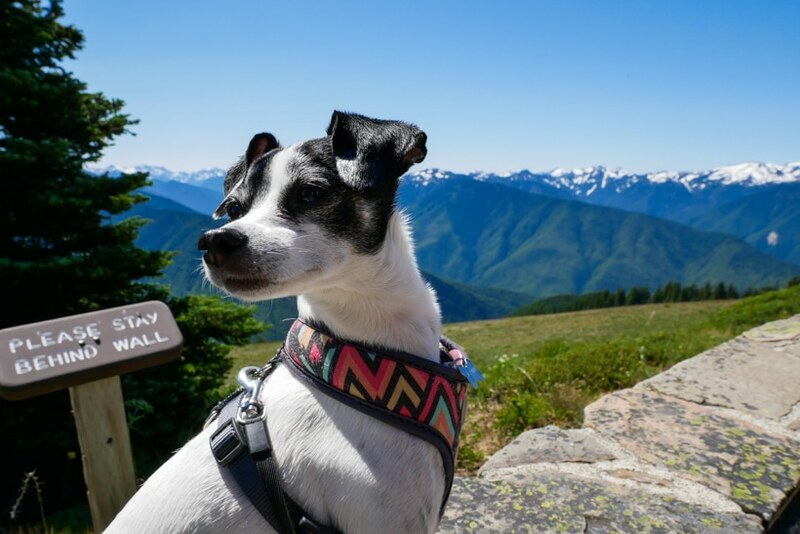 Cell Phone Signal Strength: No signal on Hurricane Ridge, spotty, even cell boosted in Hoh Oxbow Campground, and spotty along the 101 until you get closer to towns. Loved the video again Amber, great still shots too. Ooooh yuk! My two worst things, a mouse and dog or cat throw up! Especially before breakfast. 🙁 I hope the mouse is gone and that Lily is feeling better. I can't even watch a movie or film with mice running around. I'm scared of them, spiders and snakes, no big deal. A teeny mouse…. You will hear me scream for miles. Happy trails. lol Maz! Yeah I get it. Not fun on either account. I never found a mouse thankfully. Maybe I scared him off with the lights, banging, and starting the engine. I had to capture/kill one in the 26 foot rig. That sucker kept me up for 2 nights and 2 days trying to find him. He left mouse poo everywhere and I heard him chewing and running around but couldn't find him. Finally I had to trap him. I hated it, but I couldn't have him destroy the RV and worse chew wires. They can cause really bad damage if you're not careful. I hope you never encounter one!